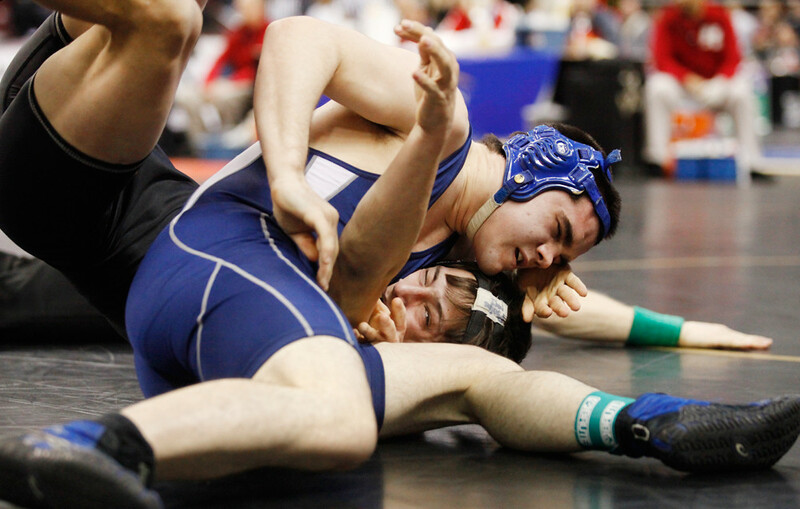 I went back to Hershey tonight to cover the first round of the PIAA Class AAA State Wrestling Championships. Which meant I had to drive 80 miles — most of which was on the interstate — in the big rainstorm. Which meant, for the first time since Sunday, I had to drive in (very) wet conditions. Which is now a terrifying concept and made me really apprehensive and agitated. © 2011 by The York Dispatch. 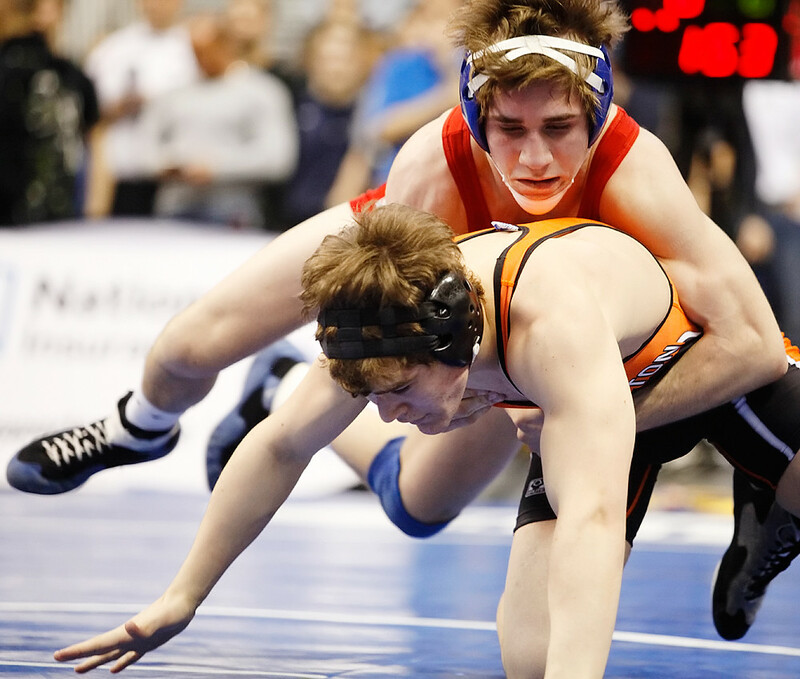 Spring Grove's Trey Duncan, top, wrestles Northampton's Cole Sheptock, in orange and black, in the 145-pound class during the first round of PIAA Class AAA State Wrestling Championships at the Giant Center in Hershey. © 2011 by The York Dispatch. Spring Grove's Neal Grudi, top, wrestles La Salle's Nick Burns in the 171-pound class during the first round of PIAA Class AAA State Wrestling Championships at the Giant Center in Hershey. © 2011 by The York Dispatch. Kennard-Dale's Chance Marsteller, bottom, wrestles Abington Heights' James Fruehan in the 152-pound class during the first round of PIAA Class AAA State Wrestling Championships at the Giant Center in Hershey. © 2011 by The York Dispatch. Central York's Jake English, in black, wrestles La Salle's Shane Springer in the 160-pound class during the first round of PIAA Class AAA State Wrestling Championships at the Giant Center in Hershey. Check out a lot more shots in the York Dispatch on-line gallery!